Alternating between a folky acoustic songstress and a smoky blues bandleader, Treva Blomquist successfully captures her multi-layered musical talents on her newest release, These Fading Things. Handling the songwriting, acoustic guitar and vocal duties, Treva has skillfully crafted an authentic musical conversation within the ten originals and two covers found on the album. Inspired by becoming a mother for the first time, relocating to Conway, AR from Nashville, TN and wading through the everyday ins and outs of a life lived in community with others, Treva’s lyrics are filled with stories, experiences, questions, faith and hope. Her unique songwriting voice casts a fresh light on topics that are relatable to everyone, while still feeling personal enough to allow for a connection to be made with each listener. Supporting Treva on These Fading Things is her band The Suits (Ben Gortmaker, Brad Odum, Drew Wilson, Eric Quarim and Hitoshi Yamaguchi), with additional help from Rob McNelley, Jeff Pardo and Ian Fitchuk. This musical collective combined to create some really solid foundations and breathable spaces for Treva’s pure voice to ring out over. Whether strumming through a tender ballad or cranking up the electric guitars, each song is framed within an incredible musical atmosphere that complements the mood conveyed in the lyrics and vocals. This cohesion speaks to the level of talent found in both the songwriting and the musicianship. When you have a collection of songs that sound great individually and also contribute to an overall unity within the album, the results are pleasing to the heart, mind and ears. These Fading Things absolutely has something for all three. These Fading Things opens up with “You Don’t Believe,” a laid back song that gently unfolds with acoustic guitars, beautiful background vocals, gorgeous cello lines and just enough drums to effectively guide the song without overtaking it. This relaxed restraint is also nicely found on “Slow It Down,” “Chasing After You” and “Nobody’s Fault.” But for every intimate confessional track there’s a sassy rocker waiting to be cranked up. The electric guitars come out for “Change,” “Promise Me,” “I Don’t Even Know You” and “Live A Little,” which features some playful toy piano from Treva as well. Treva chose two cool cover songs for the album and both are done in a really cool way. “I Write The Book” is a beautiful Patty Griffin song from her hard to find original demo tape and “Poor Wayfaring Stranger” is a classic folk standard from the 1800’s. Treva transforms these two covers and adds her own spin to their familiar melodies. You can categorize These Fading Things as singer-songwriter, alt-country, folk-pop or any other hyphenated hybrid that fits. But whichever genre you use to describe it, just make sure to put the word “good” in front of it. This is definitely not a “more of the same” kind of album and Treva has really created something that is worthy of anyone’s time and attention. 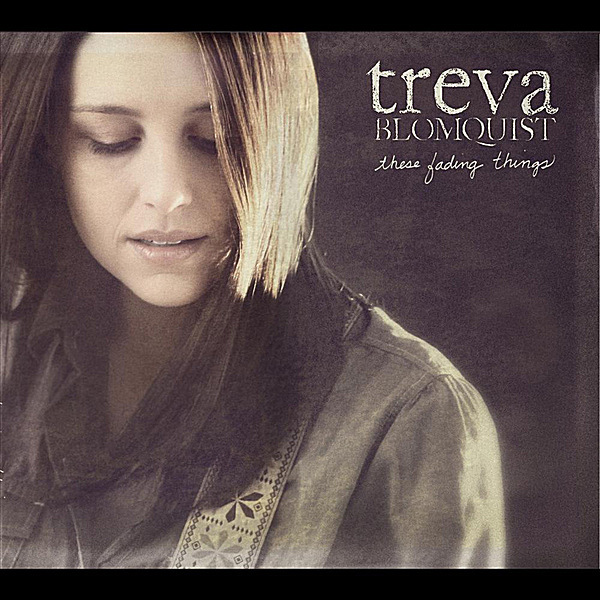 The album’s title comes from a lyric in “Chasing After You” that says, “Can't always tell from the outside, but there's a mess inside of me, rising from the worth I've placed on all these fading things.” With so much heart, honesty and great songwriting found on These Fading Things, there’s no worry of Treva fading anytime soon.